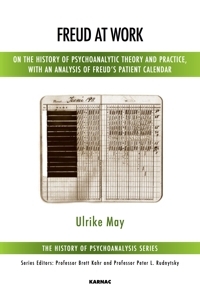 Ulrike May, PhD, is a practising psychoanalyst in Berlin and a member of the Karl-Abraham-Institute Berlin, the German Psychoanalytic Association, and the International Psychoanalytical Association. She has published two books: Freuds frühe klinische Theorie (1894–1896): Wiederentdeckung und Rekonstruktion and (together with Elke Mühlleitner) Edith Jacobson: Sie selbst und ihrer Objekte. Leben, Werk, Erinnerungen, as well as numerous papers on the history of psychoanalytic theory and practice. Together with Michael Schröter she recently presented a critical edition of Freud's Beyond the Pleasure Principle, including the first version of 1919.